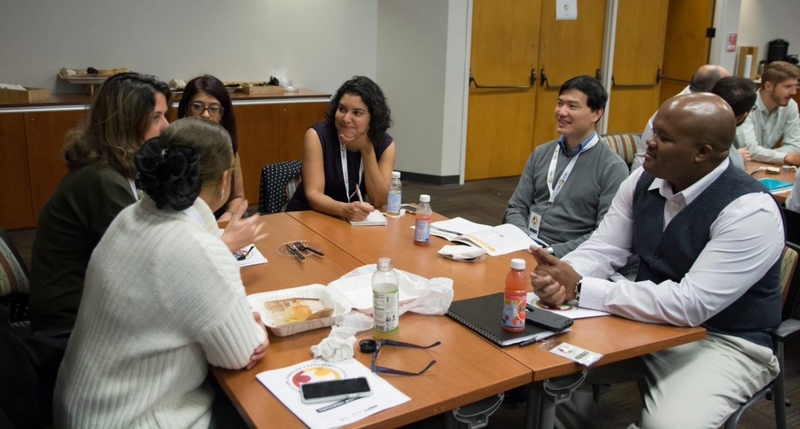 The Multi-Cultural Learning & Development Symposium was developed by Kimberly-Clark’s African American Employee Network and has grown to include other ethnic diversity groups. Attendees engage in an Accountability Partners Program to create peer coaching and ongoing networking. Employee resource groups are at their best when they shine a light on a company’s strengths and opportunities. Kimberly-Clark’s employee-led African-American Employee Network (AAEN) is using this year’s Black History Month as an opportunity to do both - to celebrate employees who lead across Kimberly-Clark’s brands and business functions as mentors, innovators and thought leaders, and recruit more leaders across the company to do the same. “It’s powerful for senior leaders, and the company at large, to see thoughtful, strategic programs and communications executed by volunteer ERG member. It shows a real intention to impact change,” Elaina Ford, Global Marketing Capabilities Leader, former AAEN Roswell President and current AAEN Strategic Advisor. Four years ago, AAEN worked closely with the Global Diversity & Inclusion team to study and create opportunities for increased diversity in upper levels of management. The collaboration led to accelerated solutions and new programs to address career development, recruitment and retention. AAEN and the company launched the Leadership & Development Symposium in 2016 in response to the study that paired mid-level professionals with professional development, personal coaching, and importantly, candid conversations with senior leaders, including the current CEO. This past year the symposium grew to include the company’s other ethnic ERGs, the Latin American Network for Diversity and Focus Asia, making it the first ever Multi-Cultural Leadership & Development Symposium at K-C.
“ERGs are a place to showcase your talents. If we can tap into the underutilized talents in the organization, not only will we grow personally and professionally, but we will unleash creativity, connections and new solutions that only a diverse workforce can provide,” said Traneil Clark Morgan, Kimberly-Clark Professional Business Transformation Leader and the 2018 Multi-Cultural Leadership & Development Symposium Chair. Kimberly-Clark’s Employee Resource Groups also include NEON (New Employee Opportunity Network), WIN (Women’s Interactive Network), Family Caregivers Network, PRIDE@K-C, Parents Interactive Network, Capabilities First network for employees with disabilities, and a veterans-focused group, SALUTE (Serving Alliance Uniting Together).